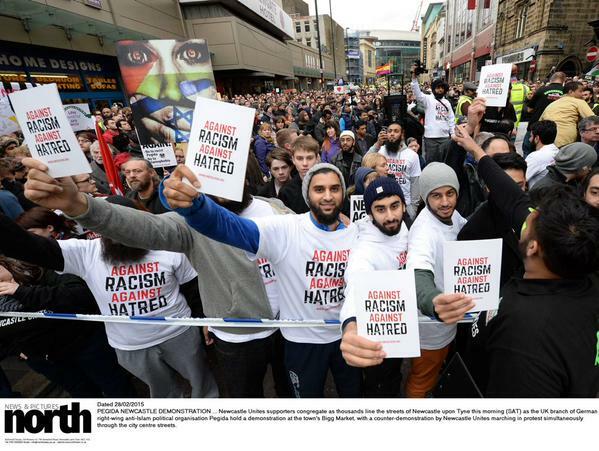 As expected the people of Newcastle-Upon-Tyne with a reputation the world over for their friendly attitude and tolerance took to the streets of Newcastle today with a very simple but strong message to Pegida, “we’re black and white”. 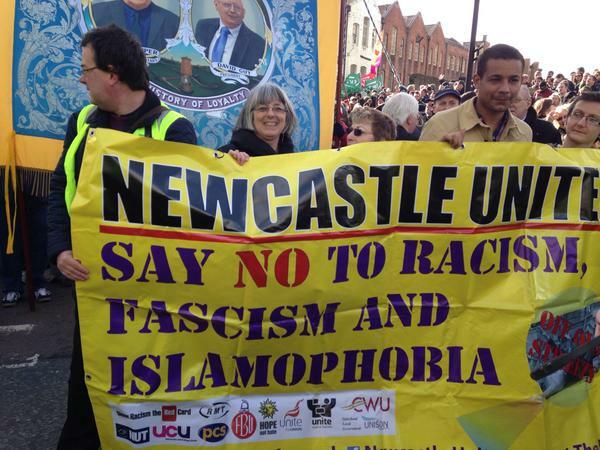 This also happens to be the colours of Newcastle United Football Club who are well respected for their work against racism and promoting tolerance for diversity. 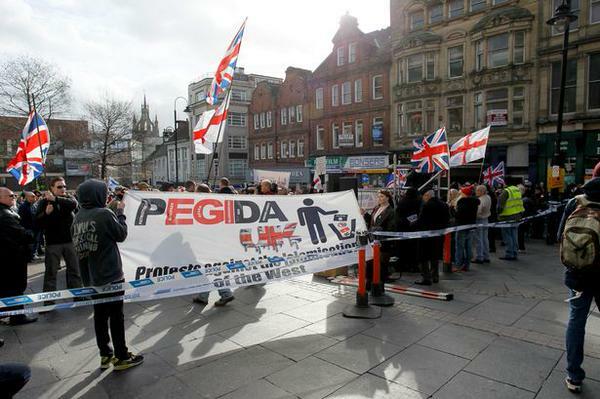 Pegida, which stands for Patriotic Europeans against the Islamisation of the West chose the north-east city to promote what critics see as an Islamophobic, racist and anti-immigration agenda that was well and truly kicked out by Geordies. 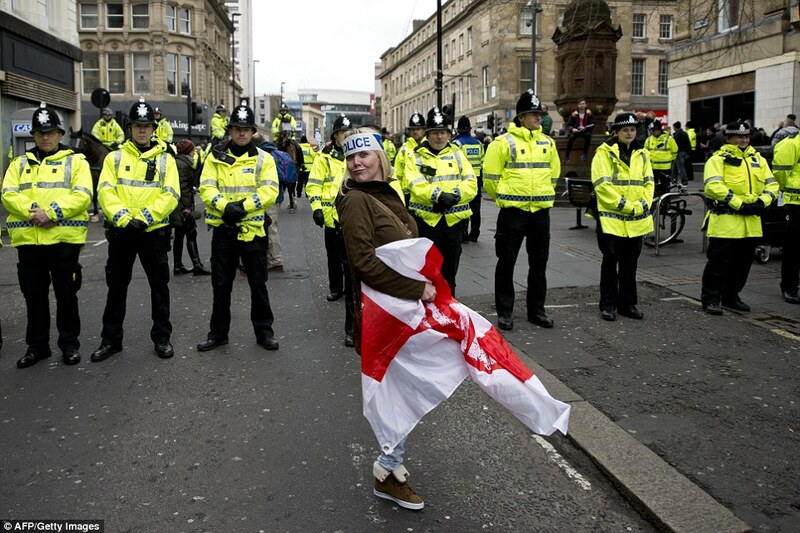 They were joined by supporters from all over the UK and further afield, who made their voices heard showing fascist Pegida the red card. The political party which attracts right-wing and far-right groups was founded in Dresden by Lutz Bachmann. 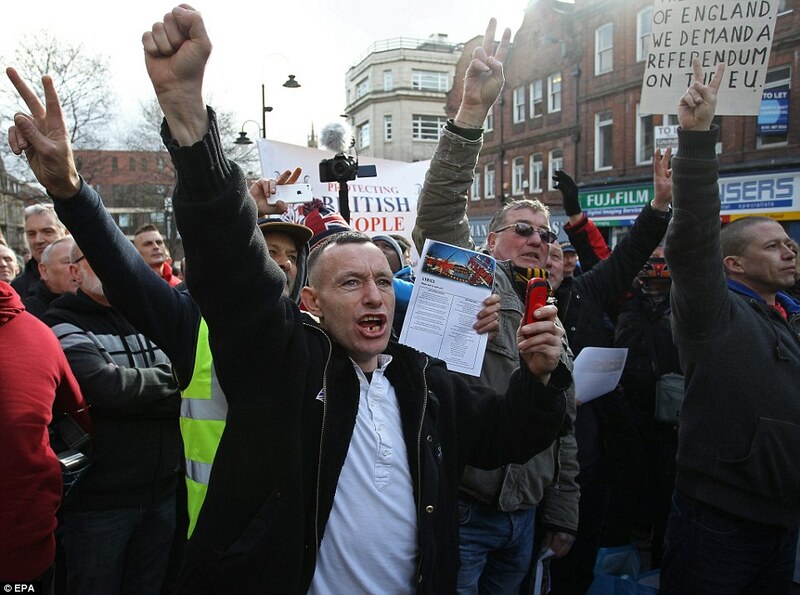 According to the Express, the 42 year old who runs a public relations agency “has a criminal record for sixteen burglaries, drunk-driving, and drug-dealing” and “stepped down as leader of the group when a picture emerged of him apparently posing as Adolf Hitler, but was later re-instated.” Pegida’s first demonstration on 20 October 2014 was said by the organization to draw “only a handful of people” but attendance at weekly meetings grew with one demonstration attended by around 25,000 supporters. 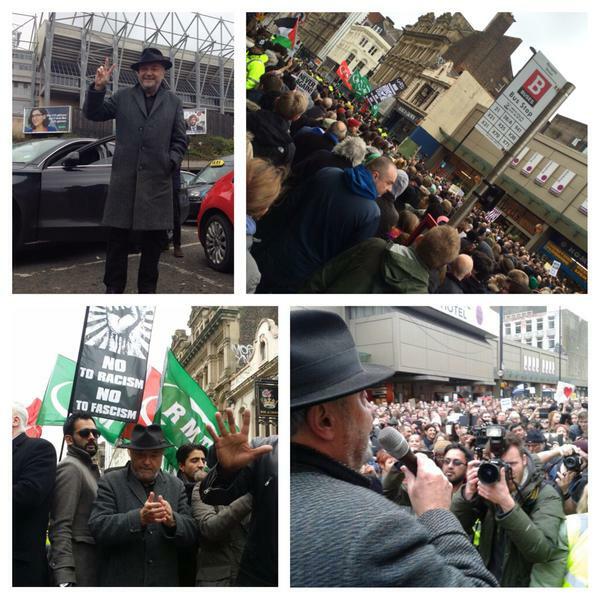 However a counter- demonstration attracted a larger crowd of 35,000. 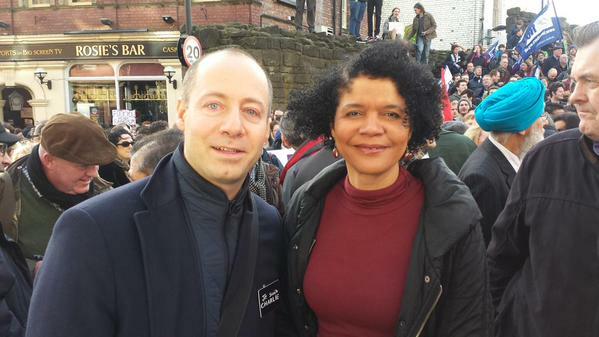 German MEP Arne Lietz pictured here with Newcastle MP Chi Onwurah. 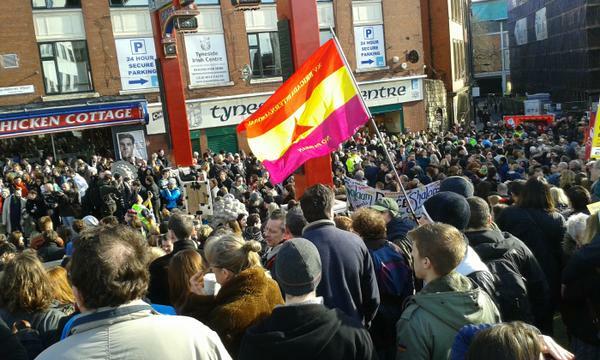 The “ Newcastle Unites” rally was opened by local MP Chi Onwurah who earlier told the Evening Chronicle, “Pegida is targeting Muslims in our community and we have to stand up and say it is wrong, Islamaphobia is wrong, anti-semitism is wrong, all racism is wrong, we can do better than this, we have done better than this when we saw off the National Front and the BNP”. 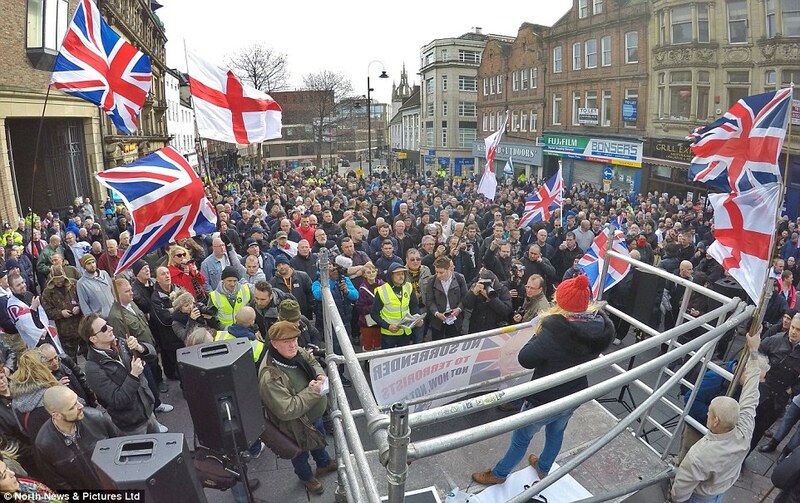 Around 2,000 good natured Geordies (some say nearer 3,000) and demonstrators from afar gathered in the centre of Newcastle in a “face-off” with an estimated 500 from Pegida. 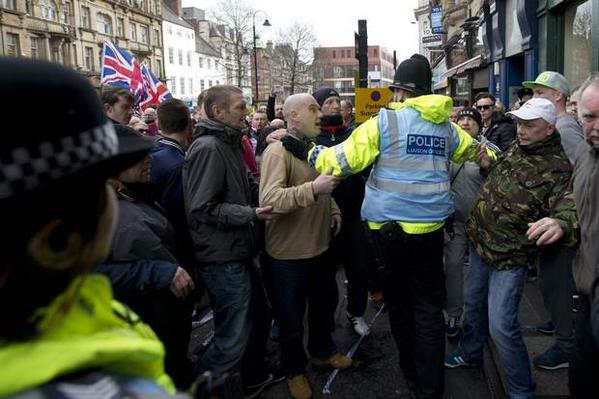 Police kept the two groups apart creating a “no- go area” in between to avoid clashes. 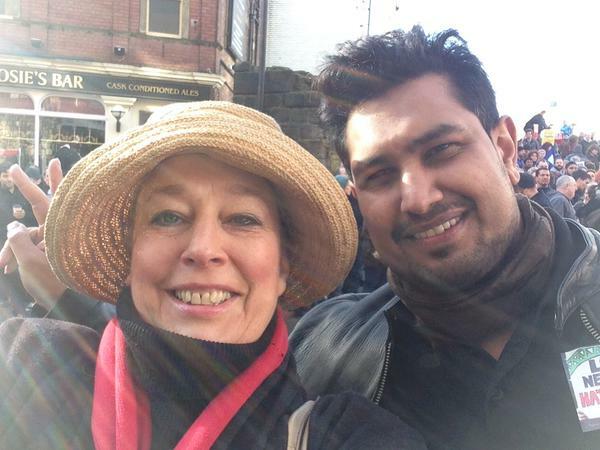 Among the crowd for Newcastle Unites was journalist Yvonne Ridley, a Muslim revert and Respect MP George Galloway while Paul Western from Liberty GB spoke on the Pegida side. 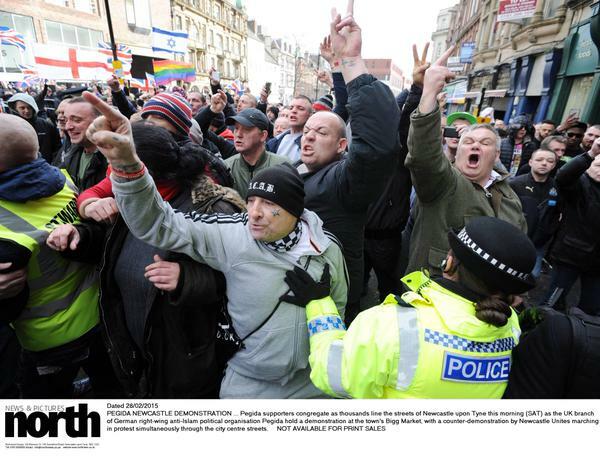 There were some clashes and several arrests but local police soon had trouble makers off the streets upholding Newcastle’s reputation as a “safe city” for all whatever race or religion. 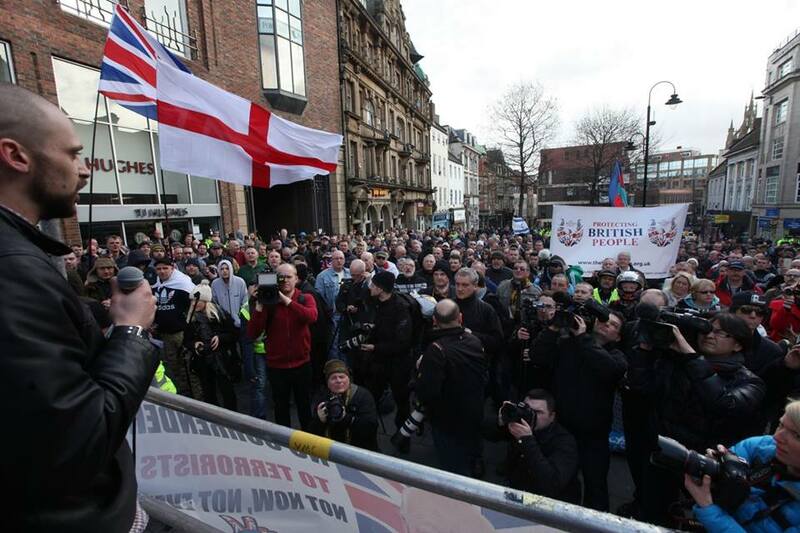 “Thank you all for the first peaceful Pegida rally in UK today! 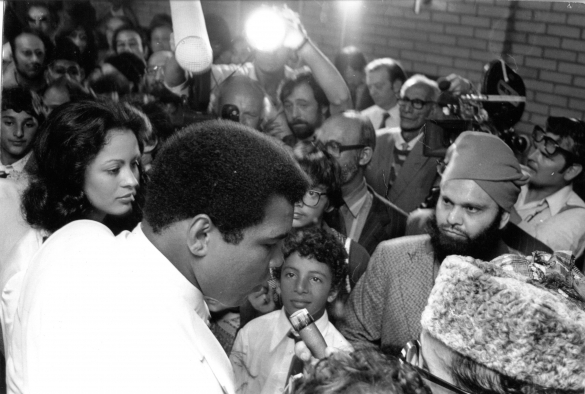 Students in the city have always campaigned vigorously against apartheid, marching to free Nelson Mandela and inviting trade unionists from South Africa to discuss sanctions and boycotts to put pressure on to release him. Mandela was awarded the Freedom of the City of Newcastle upon Tyne in 1986 when he was in prison on Robben Island. 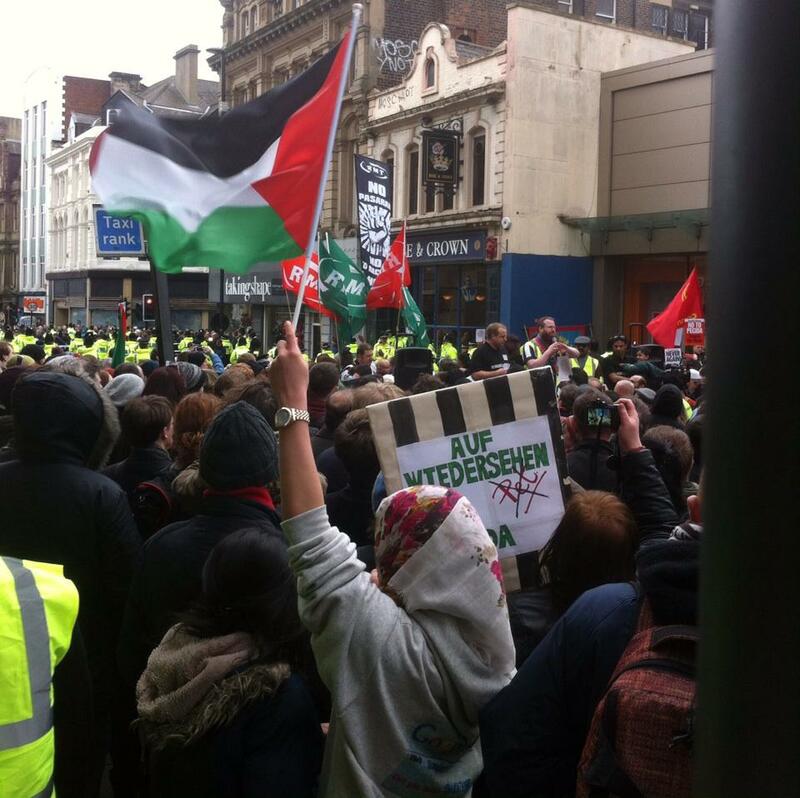 The tradition of fighting against apartheid continues today welcoming Palestinians to enjoy Geordie hospitality. 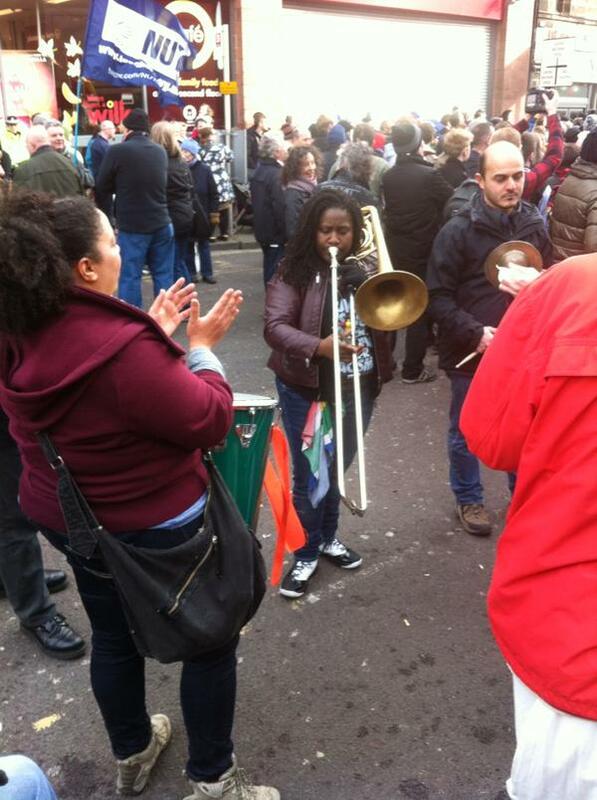 Holocaust Memorial day is also commemorated each year with a number of inter-faith events around the city. 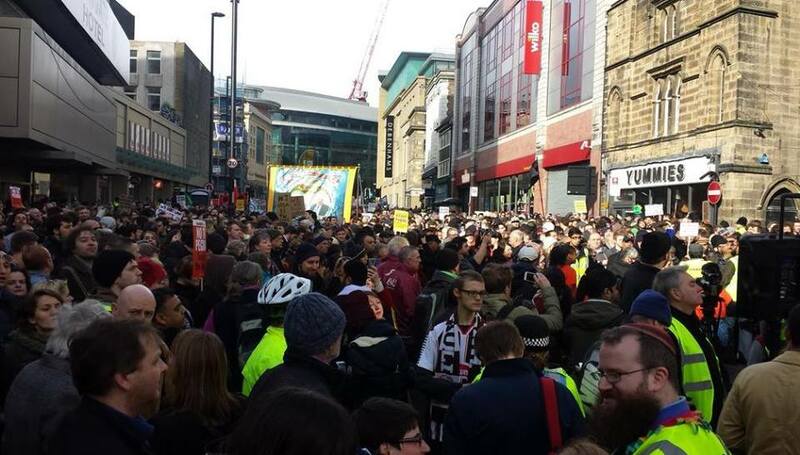 The people of Newcastle have no intention of dropping standards in celebrating diversity and the following message was posted on Twitter to the people of Dresden (home of Pegida) standing together with them to fight fascism. 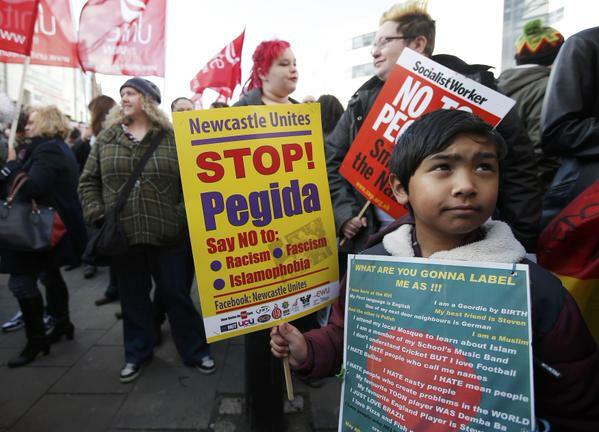 “As you may know the Islamophobic movement ‘Pegida’ is intending to march today in Newcastle in a provocative attempt to stir up racism and intolerance. 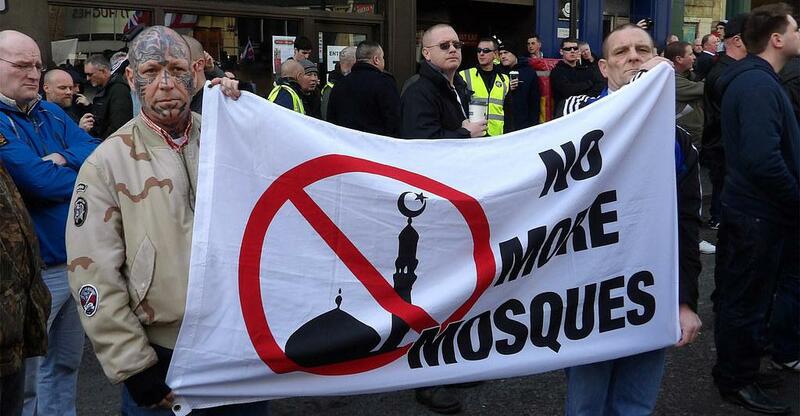 This is the first time that British racists and fascists have attempted to import the ‘Pegida’ message into the UK. 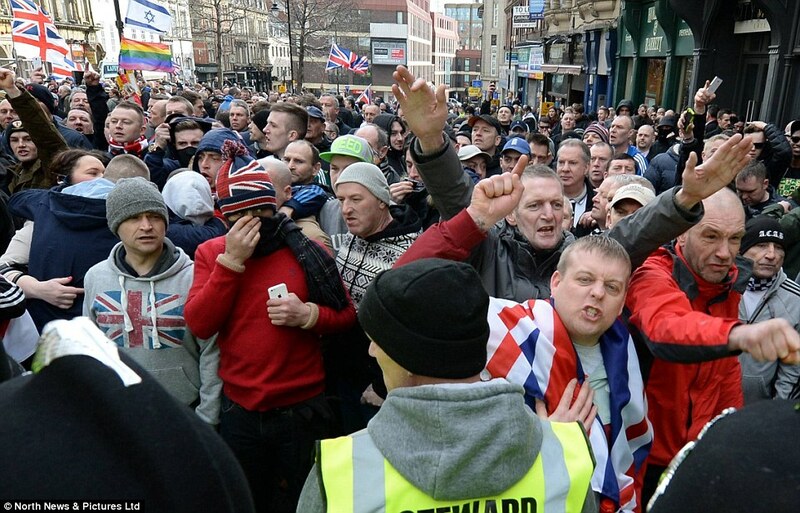 Pegida’s emergence is part of a tide of racism and intolerance sweeping Europe that takes many forms. 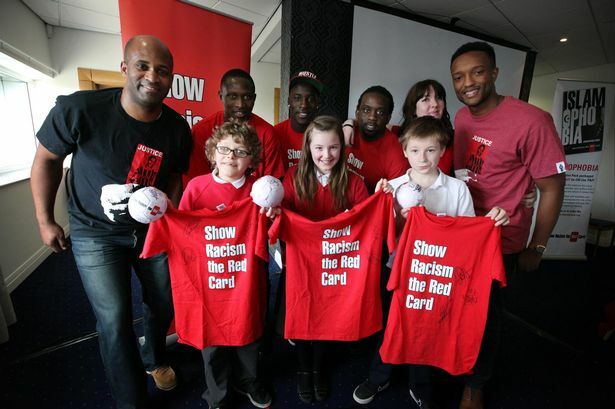 Whatever problems we may face as a result of economic crisis, recession and inequality we believe that racism can only divide us and offers no solution. The people of Dresden and those across Germany know only too well that this movement must be stopped and we have taken inspiration from your efforts so far. 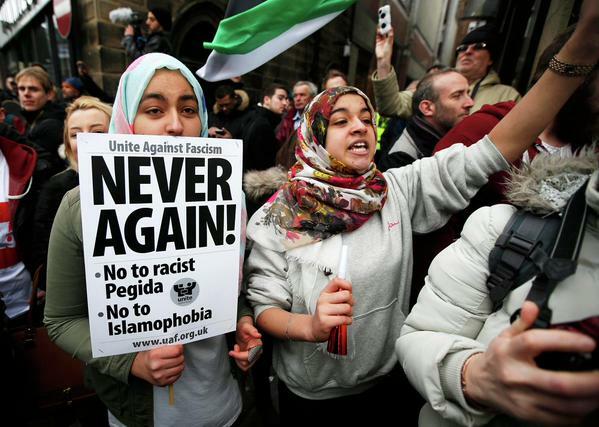 We must stand shoulder to shoulder against all vestiges of Anti-Semitism Islamphobia, Fascism and anti-immigrant bigotry. 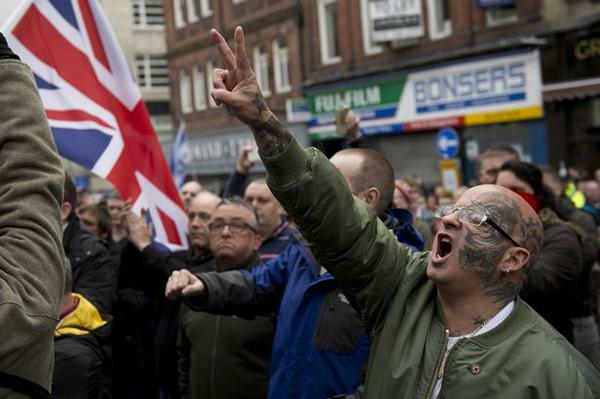 The north east of England has a well-deserved reputation for tolerance and we pride ourselves on the diversity of our communities and our mixed heritages. 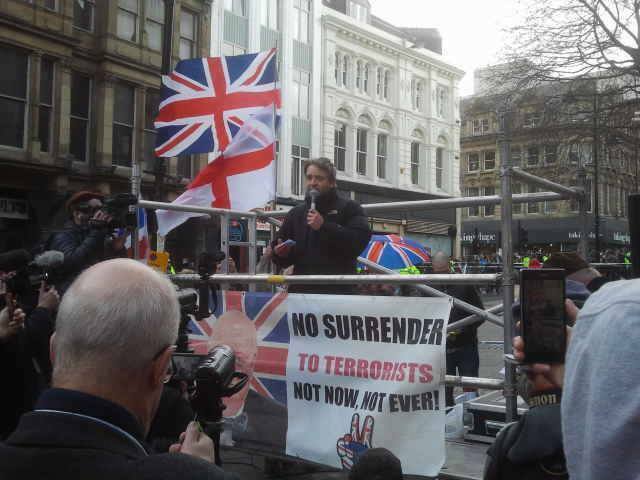 We believe Pegida must be prevented from spreading their message of hate and from getting a foot-hold in Newcastle, the UK or anywhere else. 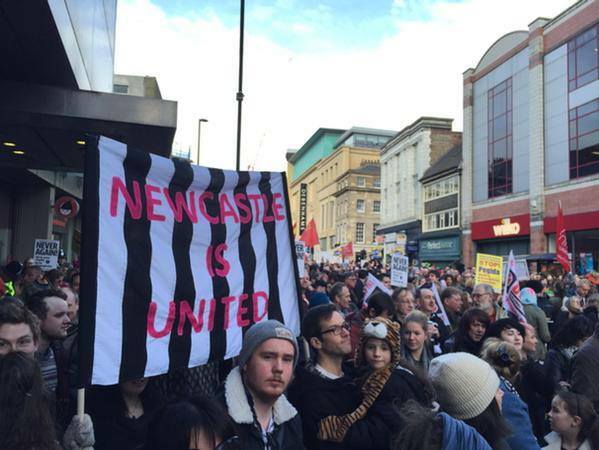 The aim of our protest is to send a clear and simple message: Pegida is not welcome in Newcastle. We believe that by the end of today we will have contributed to stopping them – but the struggle against racism will continue. 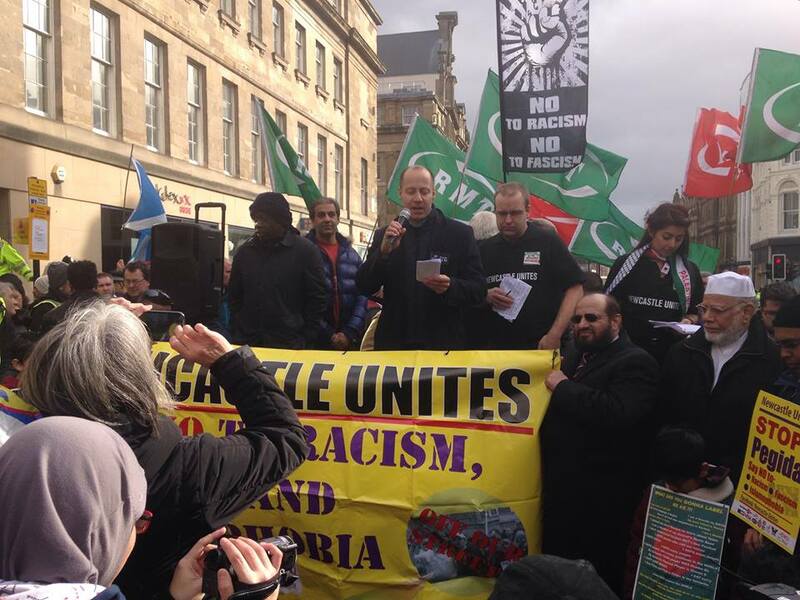 We join you today as part of an international movement of solidarity against racism and fascism. 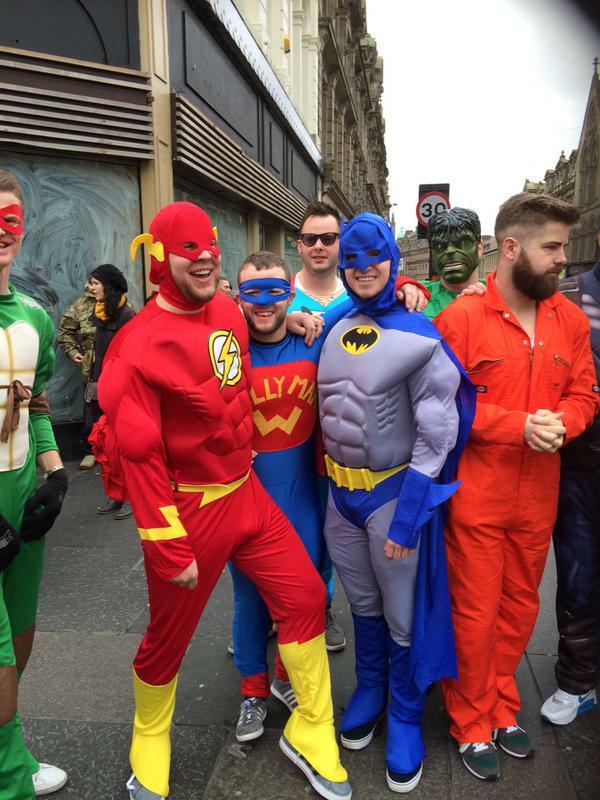 We will also be marching on the streets of Glasgow on 21st March alongside hundreds of thousands of others in Barcelona, Paris, Berlin, Athens … in a day of solidarity and resistance. 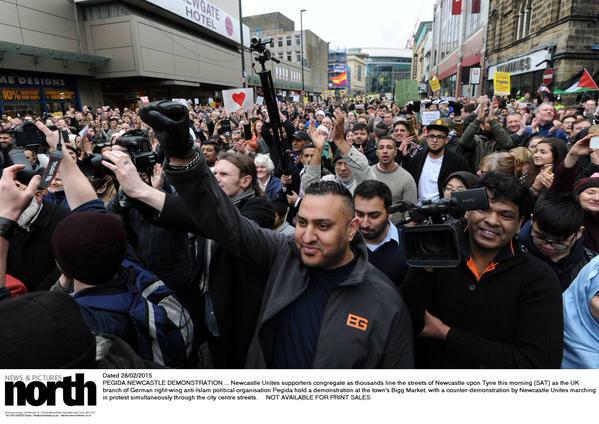 Today Pegida may be polluting Newcastle with its message of hate – but we are united in saying that from this time and from this place it goes no further: Never Again! No Passaran!